Legacy of the First Blade Episode 2, aka Shadow Heritage, is the new DLC for Assassin’s Creed Odyssey. It’s incrementally launching right now, and some people have been having trouble figuring out how to find the second episode of the Legacy of the First Blade DLC. We hope that our AC Odyssey Where to Find Legacy of the First Blade Episode 2 DLC guide will help you find what you’re looking for in your store and figure out how to download it. 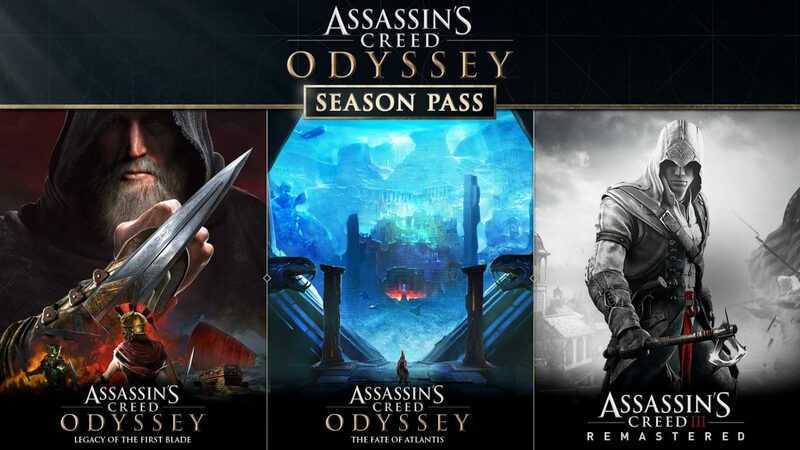 Where to Find Legacy of the First Blade Episode 2 Shadow Heritage AC Odyssey DLC – How to Download? To find and download the second episode of the Legacy of the First Blade DLC for AC Odyssey, you’ll have to download it manually. This basically goes only for console owners; PC owners will likely not have trouble. On the PlayStation 4, find the game from your home screen, and hit down to get more details on the game. Find the PlayStation Store tab on the left, and then select Your Add-Ons on the right. You can see the list of all downloaded DLCs there. If what you’re looking for is missing, go to the PlayStation Store and search what you’re looking for. Make sure that you type the full name for optimal results. When you find what you want, just select Download. The only problem is that you might have to wait a while, because the PS4 launch schedule is a mess. If it’s not in the store, check back in later. On the Xbox One, the situation is basically the same. Go to the My Games & Apps menu, head to the grid of installed games and other stuff, and switch it to Ready to Install. Find Assassin’s Creed Odyssey, and either select Install All. Alternatively, you can go to Choose What to Install in the previous step instead. That way, you can manually pick and choose what you want to install. Either way you do it, just wait for the thing to download, and you’re good to go. So, that about does it for how to find the new Assassin’s Creed Odyssey Legacy of the First Blade DLC. If you need help on how to start the actual Shadow Heritage quest in the game, please feel free to check out our AC Odyssey How to Start Legacy of the First Blade DLC Episode 2 guide for answers.